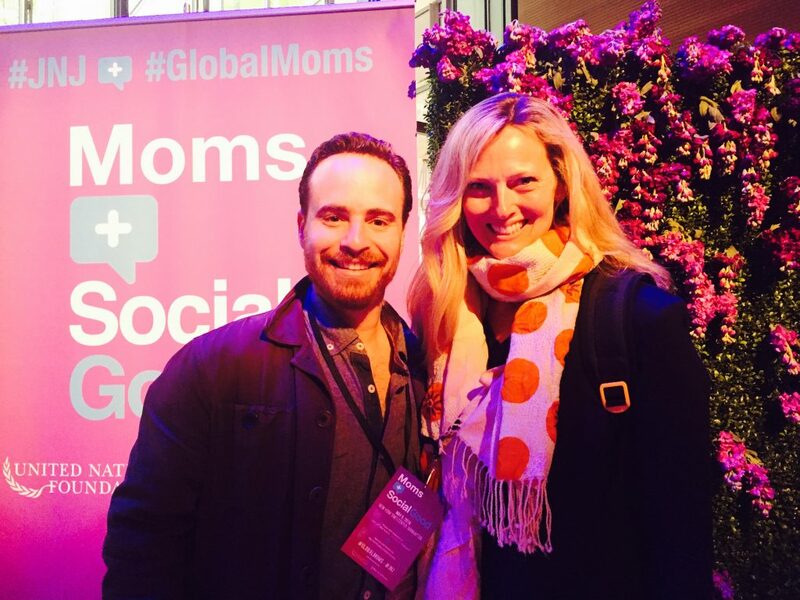 World Moms Elizabeth Atalay, Tes Silverman and Founder Jennifer Burden met up at the 4th annual Moms + Social Good conference last Thursday at the New York Times Center in New York City. The one day event was hosted by The United Nations Foundation and Johnson & Johnson, with support from BabyCenter, Global Citizen, Fatherly and Charity Miles. The goal, in honor of Mother’s Day, was to highlight some of the greatest challenges women and children across the globe are facing today. The buzz word that came up in almost every panel and topic of conversation, whether the discussion was on the refugee crisis or the importance of global vaccines, was EDUCATION. The importance of education to rise above any circumstance was underlined again and again. We were impacted by the Save The Children special report this year. Save The Children usually conducts a State of the World’s Mother’s Report released around U.S. Mother’s Day. The surprising statistics on maternal and child health in the USA in last year’s global report (The US ranked number 33 worldwide) inspired the compilation this year of The Shriver Report Snapshot: Insight Into The Resilient American Mother instead. The study polled 1000 mothers in the United States of various backgrounds. The findings were surprising. Overall 85% of American mothers polled think that the US is becoming a worse place to raise a child. Despite this alarming finding, almost all moms, also said they are optimistic about their future and their children’s future. 6 in 10 said that the US business culture makes it “nearly impossible” to balance work and family. The top stressors for American moms were bills and expenses. American moms are conflicted whether technology and social media do more good than harm for their children. When it comes to helping kids, American mothers overwhelmingly want the next president to focus on education. 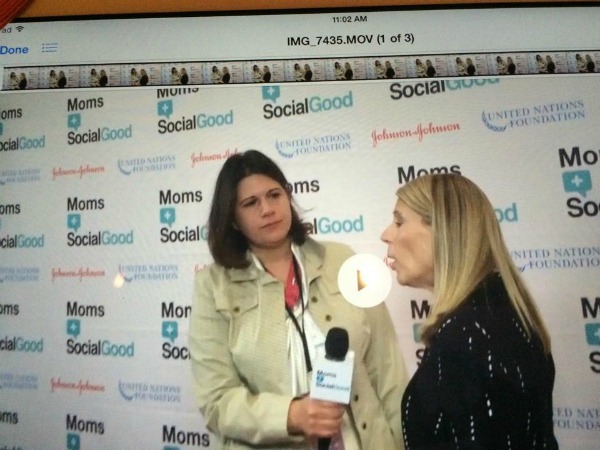 World Moms Blog Founder, Jennifer Burden, interviews Carolyn Miles, CEO of Save the Children at the Moms + SocialGood event in NYC on May 5th, 2016. Three years ago at Moms + Social Good we met Gene Gurkoff, Founder and CEO of Charity Miles, an app that lets you donate to the charity of your choice when you work out. We’ve been doing Charity Miles ever since while watching his company grow to do more and more good in the world each year. Also, we tracked down the US Ambassador to the UN, Samantha Power after her panel on how they are working hard to take out Boko Haram and the importance of education. 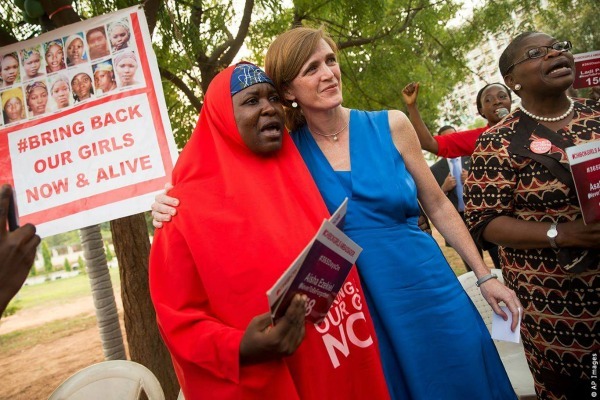 Just last month, Ambassador Powers was in Abuja, Nigeria visiting with the mothers of the Chibok Girls. There, she met our contributor, Aisha Yesufu, at the sit in. We were so excited to tell her about our connection to Aisha and our support for the moms in Chibok! 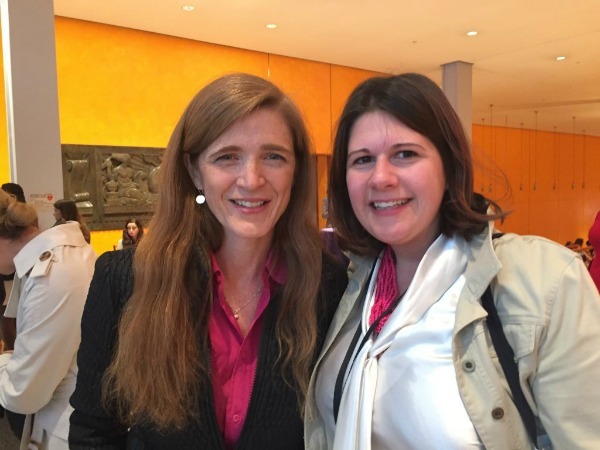 US Ambassador to the UN, Samantha Power with Jennifer Burden, Founder and CEO of World Moms Blog, at Moms + SocialGood in NYC May 5th, 2016. And here is Ambassador Power weeks earlier in Abuja Nigeria with our World Mom, Aisha Yesufu! 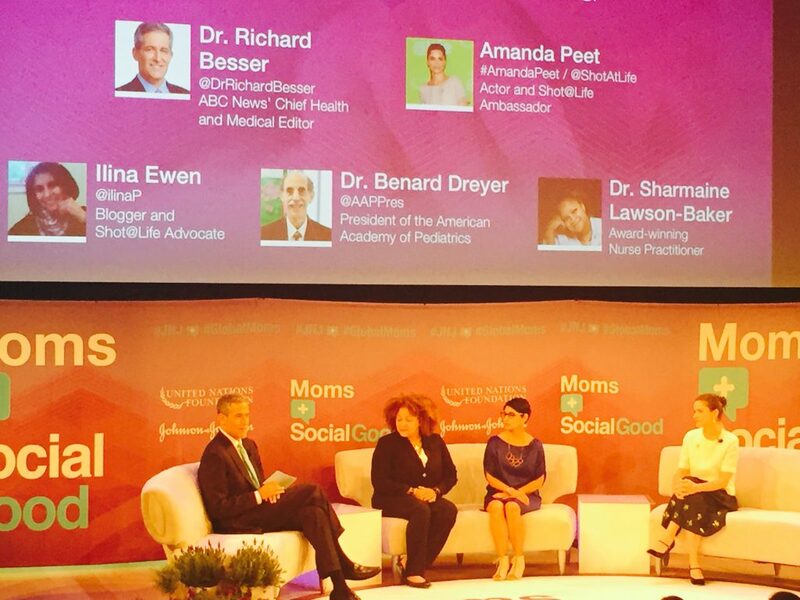 As our good friend Ilina Ewen said on her panel, From local to global challenges: Focus on the whole child, “The sisterhood of motherhood is universal.” This is something we know and feel every day at World Moms Blog. This is an original post to World Moms Blog by our Managing Editor, Elizabeth Atalay of the USA. It was updated at 11:36am EDT on May 10th, 2016. Photo credit of Aisha and Ambassador Power to Aisha Yesufu.